The rationale behind pushing the IAWN proposal is simple: Colossal asteroid strikes, which have pummeled Earth fairly regularly over its 4.5 billion years, know no international borders. If a threatening near-Earth object (NEO) comes onto scientists' radar, the whole world will need to know — and they'll need to know what, if anything, they should do in response. "The IAWN has an essential role in a global response to the NEO hazard," it states. "Essentially, it would comprise the functions and activities already being carried out by the Minor Planet Center, the National Aeronautics and Space Administration’s (NASA) NEO Program Office, and Europe’s Near Earth Object Dynamic Site (NEODyS) program." 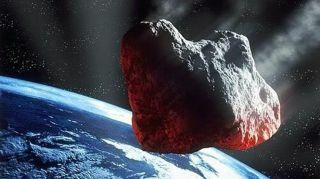 "A lot of attention is focused on the catastrophic damage a large asteroid could do if it collided with Earth," Michael Simpson, executive director of the Secure World Foundation, said in a statement. "This report focuses on how to prevent the even greater damage we could cause ourselves by miscommunicating or failing to work together on a common response to the threat." You can follow SPACE.com senior writer Mike Wall on Twitter: @michaeldwall. Follow SPACE.com for the latest in space science and exploration news on Twitter @Spacedotcom. We're also on Facebook & Google+.